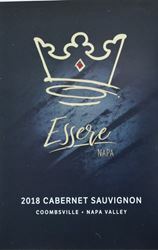 At Essere Franco, our mission as a small, family-owned business is to provide our customers with memorable, award winning wines that are hand crafted from start to finish. As long term vineyard owners, we continue to uphold sustainable vineyard practices and have developed an ultra-premium program that reflects the true essence of the micro-climate and terroir. As artisans, we believe in allowing our small lot wines to paint a picture for you as you taste our single vineyard estate grown fruit. We invite you to open a bottle, pour yourself a glass, and close your eyes. As hosts, we achieve our mission by treating our customers like our own extended family. Our program is centered around our very unique wine club and our driving focus is always our customer's experience. We currently offer a farm tour in the Oak Knoll District of Napa Valley. For details please call 707-224-0191 or visit out website www.esserefranco.com. To join the wine club, visit www.esserefranco.com or call 707-339-8019. Essere Franco Wine Club ship a carefully selected assortment of our latest releases and club member exclusives. Club shipments are customizable. 1 cent shipping, Member only events, complimentary wine and gourmet pairing for 4, concierge services to your next visit, and special member gifts. Club Maduro– 12 bottles twice yearly. Members receive the first and sometimes only release of our exceptional, limited, artisanal wines; 15% discount on all wines and select retail merchandise. Members receive the first and sometimes only release of our exceptional, limited, artisanal wines; 10% discount on all wines and select retail merchandise. Buy a barrel of our red wine and save 15%. Wine club members save 20%. Program includes spending an afternoon with our winemaker, Tom Foster, blending and having a hosted lunch at the winery. It continues with a hosted local dinner and a night’s room at a local hotel that we will book for you. The next day finishes the affair with a few hours dedicated to designing your label with artist Sandi Crist. We will then bottle, label, and send your wine to you inclusively.